The frustrating thing about 100-mile races of late is that my legs are capable of so much more than my stomach will give over the distance. 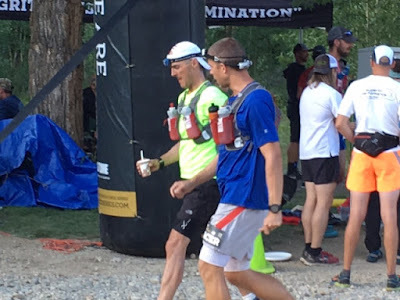 Almost anyone who saw me run the Leadville Trail 100-Mile Run, which took place Aug. 20-21, would tell you my legs are good for 21-22 hours on that course but my stomach just won't have it. And so it was with this year's "Race Across the Sky." First and foremost, I want to express heartfelt gratitude to my family and friends who were on hand to support me. This included my wife and our son, my father-in-law, AJ Wellman and Chuck Radford as my pacers, my boss and her husband, esteemed co-workers, and many others. Even if you weren't able to physically be there, you were in my thoughts--especially if you're family. Everyone's support meant so much to me and I am deeply grateful for it. Thank you. When I came into Twin Lakes outbound (mile 39.5) in one of my best-ever splits for that aid station (6 hours, 46 minutes), I felt so good. I had run the first 13 miles with my buddy, Mark, in a conservative 2 hours, 4 minutes (we had great conversation the whole way, which made a huge difference) and then really opened it up from Outward Bound to Twin Lakes. As I descended into Twin Lakes, enjoying those spectacular views, I remember thinking that I'd had a good taper and my recovery post-Western States had been much better than expected (thank you, Ultragen!) --bringing me to this almost euphoric point. Nearly 40 miles into the race, things were looking up. Upon arriving at TL at 10:46am, I looked at my family and crew and said something along the lines of, "it's too early to tell but this could be a magical day." My UCAN, Larabars, Fuel 100 Bites and water infused with peppermint oil seemed to be working. My wife was shocked by how good I looked. Off I went toward the meadow en route to Hope Pass, ready to get after that big climb, taking you up to 12,600 feet. Alas, I felt quite labored on the climb up the frontside of Hope, ultimately coming to the realization that my climbing legs were compromised...maybe from Western States itself but likely from limited trail running in the past several weeks as I recovered from my adventure from Squaw Valley Ski Resort to Auburn. But I didn't let it get to me too much because, even with sub-optimal climbing legs, I knew I was in good pure running shape. I got into the Hopeless aid station (mile 45) two hours later. There, I took stock of the llamas (they always catch my eye) and recharged with some delicious potato soup before heading off for the crest of the pass. The section from Hopeless to the crest is always such a grinder for me, especially those last few steps before you hit the top, which affords the most spectacular views you could imagine. I was a few hundred vertical feet below the top when Max King, followed by eventual winner Ian Sharmin, came blowing past me (obviously in the opposite direction as this is an out and back course). Watching Max, I immediately thought back to the 2010 Leadville in which Anton Krupicka was at about this point when I saw him...only to blow up (and DNF) on Powerline (I have always been a big Anton fan). Turns out Max would also blow on Powerline, but credit to him for his gutsy finish a la Matt Carpenter in 2004 (as we know, Carpenter returned the next year, setting a legendary course record that still stands). The descent down the backside of Hope Pass was slow and goofy. I am not a good descender of steep trails. I got into Winfield (mile 50) in 10 hours and 4 minutes, on pace for a time of about 22 hours. This was about 10 minutes behind pace. Entering Winfield, I was a bit upset with my poor descent and compromised climbing legs but the stomach was still solid and that was a huge plus. I made a point to stop at the creek before the aid station and dip my hat and Buff scarf in the cold water. Entering Winfield from the Sheep Gulch Trail, it was much, much hotter than the forecasted 65 degrees! When you're at 10,000 feet and the sun is out in full force, 75 degrees is quite warm. I needed to cool off and the stream provided some needed relief. 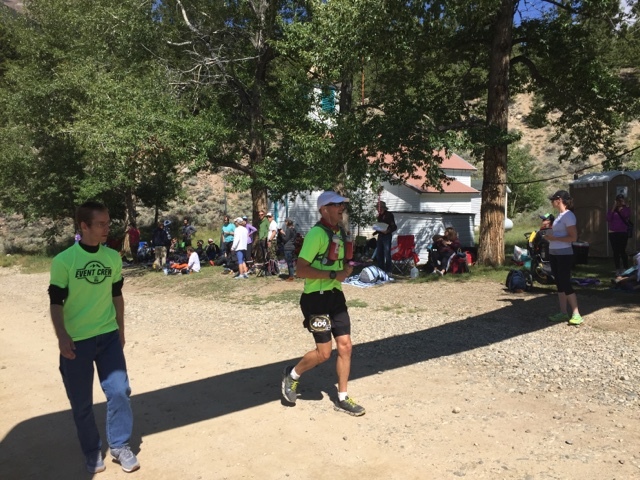 At Winfield, I picked up my friend and pacer, Chuck Radford, who placed fourth at Leadville last year. We decided to take my trekking poles as they'd help me on the climb up the backside of Hope. 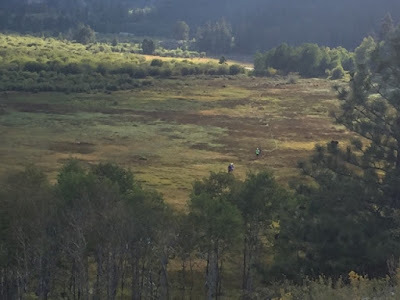 Chuck and I walked out of the aid station and up the little spur and then began running on the mostly downhill Sheep Gulch Trail, which goes on for about 2 miles until you come to the based of the Hope Pass climb. I tried to get in some calories in advance of the big climb up Hope but then it hit me...sudden nausea. I leaned over and vomited and then dry heaved. Not an ideal situation before a horrendously difficult 2,600-vertical-foot climb with grades of 30% in some spots, but in a situation like this one--which I've experienced more times than I care to admit--all you can do is get it out of your system and keep going. Even such, I was worried, confiding to Chuck that I didn't know if I'd make it up the mountain with my legs feeling so unresponsive on the climbs and now my stomach turning on me. Chuck was a steady hand, encouraging me to take it step by step. "We'll get this done," he said. And, deep down, I knew I would. Onward! The climb up the backside of Hope wasn't pretty and it involved a few more puke breaks, including one very bad episode above treeline. But, step by step, we got to the top and then started slowly making our way down. By then, I was completely depleted and we were very low on water. Poor Chuck had to give me almost all of his water. I told Chuck that the plan for Hopeless inbound (mile 55) would be to recharge with some of that delicious potato soup and come into Twin Lakes ready for the final 40 miles. This is where I became my own worst enemy. It was good that when I got into Hopeless I sat down and started going to work on the soup. It was not good that I ate the soup--all two cups--entirely too fast when my gut had shut down sometime right leaving Winfield. Sitting in the tent, I practically inhaled it and then--wouldn't you know it?--vomited it right back up as we departed the station. So, leaving Hopeless inbound, there I was again...depleted. Fortunately, Chuck had the good sense to leave Hopeless with a bottle of Roctane that I nursed during the long descent back down to Twin Lakes. I told Chuck that I felt my gut might just restart at Twin Lakes, which is "only" 9,200 feet, and that between here and there I just had to grind it out. Making matters worse was my left knee. Descending the mountain, I felt pain under my kneecap but it didn't stop me in my tracks. I'd just have to endure it...for 40something more miles. As of this writing, my knee is improving. In the meadow, with Twin Lakes in sight, with Chuck. Finally down in the meadow, we forded the stream and various water crossings and mostly ran into Twin Lakes inbound (mile 60), where my crew awaited me. It was here that I also saw my boss and her husband--a nice lift to be welcomed by so many people who care about me and I care about as well. I told the crew what had happened on the mountain with my stomach but I felt determined to keep grinding it out, though--yes--I felt dejected that it had taken me a little over 7 hours to clear the Hope Pass section...yet again. Seven hours. Unbelievable. Being attended to by Chuck, AJ and the crew at Twin Lakes. I picked up my friend, AJ Wellman, at Twin Lakes, where I changed shoes and socks (so nice! ), and we left at about 5:30pm, with our headlamp as the sun would be setting in a few hours. I had fueled just a bit in the aid station but we left with some calories, including Fig Newtons, Skratch, and a few other items. The climb out of Twin Lakes was tough, especially the lower section on the steep rocky dirt road. AJ and I both agreed that we'd hike this section and then start running once it topped out in about 1,500 vertical feet, when you're greeted with a nice, long section of trail that's buttery smooth and mostly downhill. "That's your kind of trail," AJ said to me. Finally, when we got to the top, AJ and I started running that buttery trail and we had a good stretch going into Half Pipe (mile 70), then Pipeline (73), and then--to a somewhat lesser extent--Outward Bound (76). AJ told me I needed to average at least 15-minute miles and for most miles I was moving at about 10-11-minute pace. Although I'd gotten down a few Fig Newtons, I was mostly depleted as my stomach had never restarted as we'd hoped it would at Twin Lakes. Basically whatever I put in my stomach just sat there. I'm not sure how I kept going except to say it was raw endurance and fat burning at work! Leaving Twin Lakes with AJ. About a mile past Outward Bound, you're greeted by the Powerline climb. Arriving at the base of Powerline, I wasn't quite as optimistic about this gnarly section as I usually am. Powerline has traditionally been a strength of mine--I can get up and over it pretty fast and in good spirits. But this time I didn't feel quite as confident because my climbing legs just weren't there. We nonetheless grinded our way up the climb--about 1,800 vertical feet with some legitimately steep sections. AJ told me it would take about 85 minutes to get to the top, and he was right. I took a few breathers along the way and then finally we got into the "surprise" aid station. Only a few steps before the aid station, Mark had caught up with me. I hadn't seen him since Mayqueen and he was looking so good. 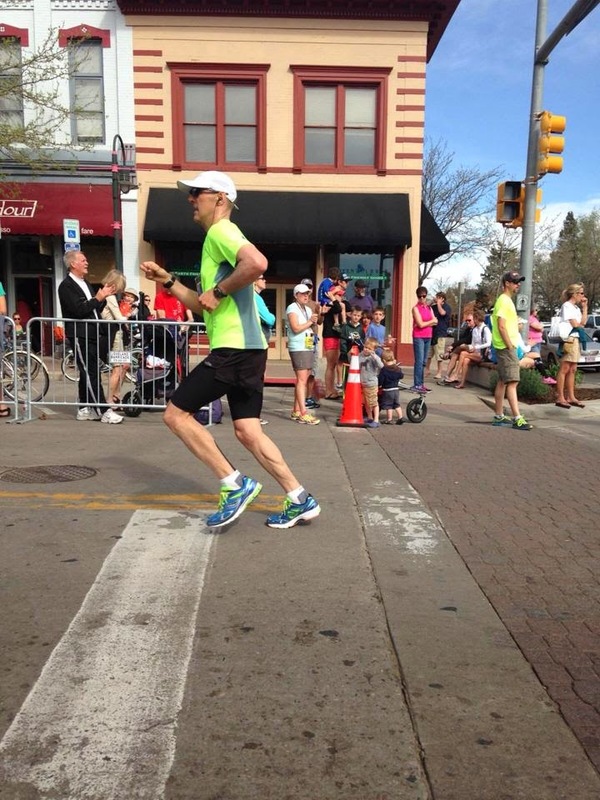 He would go on to finish sub-24 hours and third in his age group! As for me...I wasn't looking at good as Mark. 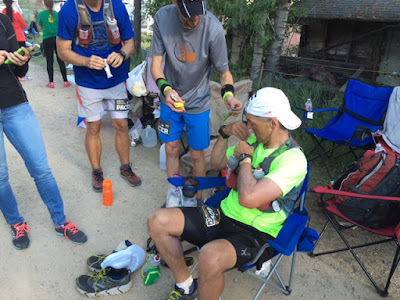 After downing a few cups of Ginger Ale (as did Mark), which one might assume would settle a shaky stomach, I was once again hit with nausea and began vomiting right there at the aid station. Only this time it was mostly dry-heaving since I'd been running on empty for 25 miles. But this time, it wasn't just vomiting and dry-heaving; I was hit with the chills and told AJ I felt hypothermic here at 11,200 feet in the middle of no where. So I did what seemed to be the best thing to do: I took a seat in front of a raging campfire to the side of the aid station. Let me tell you, the folks at that aid station were having fun. One guy got up and started massaging my shoulders while he told me what a badass I was. After about 3 minutes of that, I felt inspired to get out of my seat and get going. I was still shaking a bit but AJ and I both agreed that the best bet was to start running down from the pass and hope to warm up versus hanging out at the top of Powerline in the middle of the night. Staying at Powerline, there in front of the fire, was a destination to no where. What else to say about the descent down to the Colorado Trail via Hagerman Pass "Road" except that it's dark and technical. But I'd been there a few times before and knew what to expect. You have to watch your step here, but at the same time let gravity do the work. And then when you enter the Colorado Trail, a section that traditionally takes me about a half-hour to clear, the name of the game is staying upright because that section of the course is littered with rocks. We nonetheless got it all done despite a few stumbles. Coming into Mayqueen. (Mile 86.5) at nearly 1am, I knew I needed some downtown. This was for a few reasons. First, I could barely keep my eyes open. If all I had in front of me were 5 more miles, then I'd have kept trucking along. But we're talking about a half-marathon to go. Second, I had started hallucinating on the Colorado Trail. Yep, just like at Western States coming into Brown's Bar, I started seeing basketballs to the side of the trail. So, when AJ and I got into Mayqueen, we agreed that I'd get in one of the cots and close my eyes for 10 minutes. Which is exactly what I did. I've been doing 100s long enough to have confidence in myself that, yes, I could take a short nap in a warm cot and, yes, I could get up on time and start running again. Man, was it cold at Mayqueen! Waking up 10 minutes later, I quickly changed into warm clothes, realizing that the stretch from Mayqueen to the finish can be extremely chilly, especially as you're coming off the lake and into town. By chilly, I mean the temperature can drop to the mid-20s. If you are ill-equipped for these cold temperatures, they will take you out of the game. I'm not even kidding. Rejoining with Chuck at Mayqueen (the plan was for AJ to pick us up at the finish), we power-hiked most of the final 13.5 miles, with some stretches of decent running. By this time, my knee was jacked and I was totally running on empty. I did manage to get down a few more Fig Newtons but by this time the damage had been done. I didn't need a few hundred calories; I needed thousands of calories. I so desperately wanted to be hungry and indulge at Mayqueen but even then my stomach was still shut down. So the trek from Mayqueen to the finish was a grind fest. 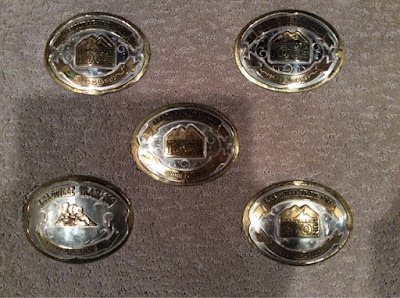 I ended up finishing in 24 hours and 25 minutes, earning my fifth big buckle. Where does that rank among my finishes at Leadville? So, yeah, I'm getting older. Had I run a bit more in those final 13.5 miles, I feel confident I could have broken 24 hours, which would have been nice. But at Leadville they give you that bonus hour for the big buckle, so it was hard to convince myself to go sub-24 when sub-25 was all I needed. As I reflect on this latest Leadville finish, I realize that I'm experiencing decreasing dissatisfaction with my 100-mile finishes. Am I super proud that I got another big buckle at the "Race Across the Sky"? Oh yeah. But I know I can run the distance so it's no longer a question of, "Am I up for this?" Yes, I'm up for it. The de-motivating aspect is that, again, my stomach keeps undermining everything even as I've tried so many different things in 100s. I know on legs alone I can cover that course much faster. But my stomach won't have it and that's sapping my will to want to keep going back to Leadville. So will I return to Leadville? I don't know. I have the five big buckles and am battled-tested up there. What else is there to prove? Would I love to have ten? Yes. But that would require a level of commitment that I'm not sure I'm ready to make--not when the wounds from this year's Leadville are still fresh. Next up: Some shorter, faster races. I just signed up for the Denver Rock 'n' Roll 1/2 Marathon, where I'll be gunning for a fast time. With the Leadville 100 now 9 days away, I am in the throes of my "taper" and starting to get the logistics (drop bags, etc.) in order. I added quotes to taper because my mileage since Western States has been pretty moderate as I've put a lot of emphasis on recovery and quality. Although I didn't have the Western States I wanted, I was fit going into that race and I am sure the fitness is still there. It's not like I haven't been running. A few weeks ago I hit 66 miles and my weekly mileage has been in the 50s and 60s. I did one 20-miler two weeks ago and it was very easy. Unfortunately, an inner shin tweak, which is getting better, has prevented a lot of vertical but I'm nonetheless fit. Did a 3x1 mile workout a few days ago and easily went sub-6 on all of them. Wish I had done more vertical but it is what it is. This is definitely not my first rodeo at Leadville, so I know what's coming and what's required. The big issue for me, as always, will be fueling. It is VERY hard to take in calories, especially solids, when you're running 100 miles between 9,200-12,600 feet. Over the past several weeks, I have tried different products and have developed an affinity for Fuel 100 Bites and Larabars. With Larabars, what I most like about them, beyond the fact that they taste good, is that they pack a lot of calories and are easy to eat. Half of a Larabar is 110-115 calories and that's just in maybe 2 bites. What I like about Fuel 100 Bites is that they're also easy to eat and taste salty. They are not sweet. The key with Fuel 100 Bites is to chase them with water. They can have a weird aftertaste but it's a quality product overall. 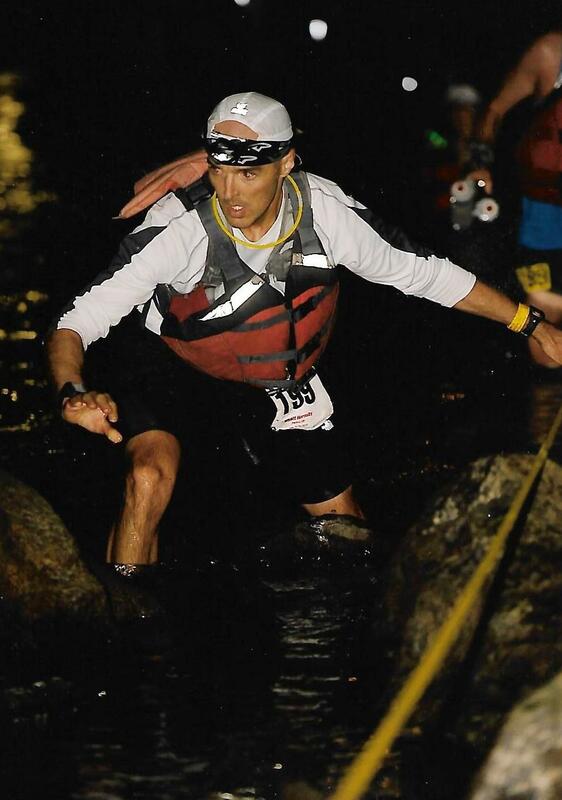 I have also been taking in First Endurance Ultragen after every workout. The stuff is amazing and I have definitely noticed that my recovery is improving. I have heard from a few folks that Ultragen can be effective during long ultras but I'm a little skittish about trying it in a race. Anyone care to weigh in on that? As far as hydration during the race, I will have some Tailwind and UCAN out on the course. Additionally, thanks to some good research by my wife and the help of a friend of hers, I will have some peppermint extract with me at all times. It has been known to help prevent and alleviate nausea. You squeeze just one drop in a bottle of water and that's it. The most critical section of Leadville, as far as preventing stomach distress, is the Hope Pass section. This peppermint stuff might come in hand during those grueling 21 miles with 13,000 feet of combined elevation change. 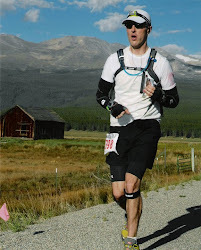 All of that aside, Leadville is a race that requires that you refuse to give up. The last 50 miles are significantly harder than the first 50 not just because of the fatigue but mostly because the last 50 miles bring more climbing. So it's good to go out conservatively. If this is your first Leadville coming up, the most important thing you can have on the course is warm clothing for when the sun goes down on Saturday night. The temperature will plunge into the 30s, maybe 20s. It is insanely cold along Turquoise Lake. Be ready for it. If you go hypothermic along the lake, game over. Will post another update between now and race day!